A new political movement is shaking up Italy’s political landscape. 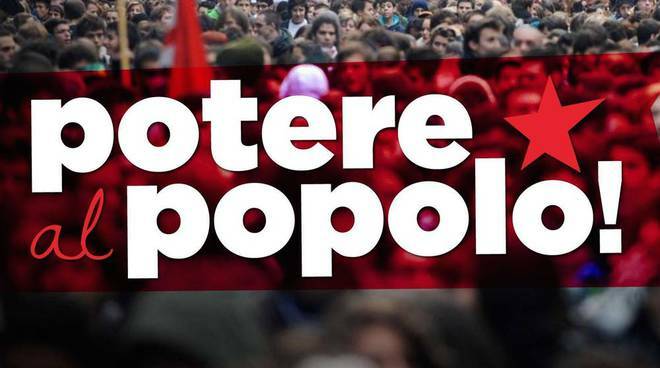 Various parties of the Italian Left have come together under the name “Potere al Popolo” (Power to the People) in order to build a common slate for the general election on March 4, 2018. What does this new project propose? The new “Potere al Popolo” movement is headquartered in Naples, in southern Italy, a traditional stronghold for the Italian Left. Its most important project is a colossal occupied building in the heart of the city – the former OPG psychiatric hospital. After the closure of all Italian psychiatric hospitals, the building stood empty. Two years ago, left-wing activists occupied it and have since turned it into a community center known as the “Ex OPG” with a wide range of social, cultural and recreational activities for local residents, students, workers and migrants. Throughout the building, one can see the graffiti of the former inmates who inhabited the building. Today the first floor contains a theater, a library, a gym and more. Now the activists from Ex OPG are constructing a political movement with a quickly growing number of branches throughout the country. Since the founding congress in Rome in the middle of November, the number of local groups has been increasing from about 20 to more than a hundred groups throughout Italy. Jean-Luc Mélenchon of “La France insoumise” and Alberto Garzón Espinosa of “Unidos Podemos” have both praised the creation of the movement, signalling its importance for the European political landscape. We certainly would not deny the need for political representation of workers, students, women, immigrants, oppressed and exploited. The basis of all our political struggle is precisely the construction of a revolutionary party composed of the vanguards of these sectors. Moreover, such an organization cannot be built according to a pre-established scheme. There exists the possibility that this anti-neoliberal slate could lead to the birth of a new party on the left and push the political debate to the left. But it is necessary to highlight some of the contradictions behind this development. The comrades use an accessible language and we do not intend to rush to criticize their form. But when this form implies ignoring important issues — in the Marxist discourse we would say “strategic” issues; in other words, “what is to be done” — it deserves a serious and not a superficial critique. In the brief report the comrades highlight the critical points of the future program. But the demands are so vague that they can be shared by almost any ​​political and trade union group. In fact, this is a statement that one might see from the trade union bureaucracies of CGIL (Italian General Confederation of Labour, the largest Italian trade union confederation) and MDP (Democratic and Progressive Movement, a left secession from the social-democrat PD, Partito Democratico) precisely because it does not specify what type of government it aims to achieve, and how it aims to achieve it. Susanna Camusso, the Secretary of the CGIL, has spoken several times about a progressive tax on the highest incomes, and the legislators of the MDP have presented drafts to eliminate or modify the Jobs Act (a labor reform promoted by former Prime Minister Matteo Renzi from Partito Democratico and approved by Parliament in 2014) but the trade unions have yet to take any concrete actions regarding these issues. In fact the MDP, voted to the contrary. It goes without saying that this type of minimum program in itself does not go far enough. In fact, such a generic proposal opens the door to the political caste of the neo-reformist left. But defending the constitution means defending the pillars on which the Italian state rests. What does the constitution represent? The constitution was the result of a compromise between the Italian Resistance forces all stripes and aimed to unite the proletariat and bourgeoisie. The PCI (Italian Communist Party), the most important force in that bloc, did not follow the will of the workers and peasants who wished to do away not only with the fascists but with bosses as well and make a socialist revolution, not a bourgeois constitution. The exploited in that moment had understood that the only way “power to the people” could be achieved was through a government of the working masses. 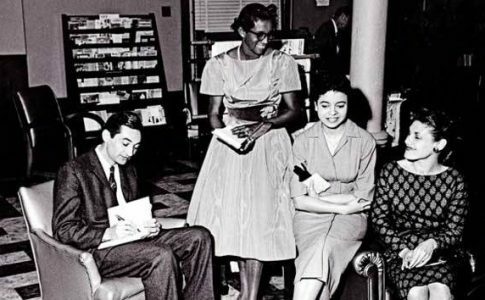 It was clear to them that would be through the self-organization of the working class, not through the bureaucracy of the “democratic” bourgeois state; a new state under their own direction and not under the direction of bankers and industrialists. With the creation of the constitution, it is no coincidence that Italy, with its “anti-fascist democratic constitution”, liberated many fascist war criminals, who entered the state agencies en masse, and even became top officials in the police department. But, more importantly, what fascism defended was not erased: that is capitalism and its social system. Defending a constitution that vaguely claims to defend labor, but which at the same time establishes the right to free private enterprise cannot represent a program of change. The Constitution of the Italian State considers private property as inviolable, and protects and defends it. Thus, defending the Constitution as such means defending capitalism. 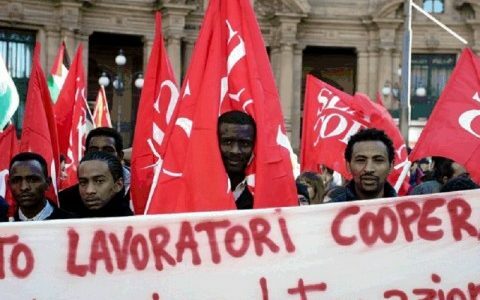 Can a left-wing parliamentary government challenge the current attacks on the Italian workers and youth? The existing Italian “democracy” is an illusion. It is a mechanism controlled by business owners and bankers, in which the television channels and newspapers poison the minds of the working masses with their propaganda. Defending this mechanism is a strong state bureaucracy — a set of laws and procedures with which the oppressed classes are excluded from control over the state — and a security apparatus of hundreds of thousands of armed men ready to defend the wealth of property owners. The Ex OPG comrades call for the “defense of democracy” without specifying that the only democracy that can implement a program of social justice is that of councils or assemblies in which oppressed masses — the working class, students, the unemployed, women, immigrants, LGBTQIA people, retirees — plan the economic, civil and social life of the country. A pure democracy, without this program, is not democracy at all. If you do not put forward a program against capitalism, you cannot think of breaking from it. There are two recent examples that demonstrate the impossibility of carrying out any progressive program — even if only reformist and anti-liberal — without questioning the state, the constitution and its “democracy”: Syriza in Greece and Podemos in Spain. These two parties have some elements similar to those on which the Ex OPG intends to build its own platform. While both Syriza and Podemos are phenomena capable of liquidating the old organizations of the Left, because they have managed to incorporate most of the former members of these parties, their politics ultimately favor the capitalist class. The Podemos phenomenon was born on a program to the right of that proposed by the Ex OPG, but the dynamics were similar: very little programmatic clarity, a lot of enthusiasm and a “bottom-up” approach. Despite its great revolutionary proclamations, Podemos has failed to meet all political expectations. A glaring recent example is the party’s position against the independence of Catalonia — a basic democratic demand, certainly not revolutionary or anti-capitalist — lining up with the Bourbon king, and therefore demanding, in fact, the monarchical restoration of the Spanish state in Catalonia. Syriza in Greece has liquidated most of the old leftist parties itself. It initially promoted itself as the spokesperson for the needs of the Greek masses against the austerity policies imposed by the European Union and supported by the Greek capitalist classes. At its height, it was a party in which millions of impoverished Greeks had placed their hopes. The disappointing conclusion of Syriza in power was its implementation of the entire austerity program called for by the European Central Bank which threw the Greek masses into further hunger and misery. And not only that—this betrayal has produced mass discontent among workers, who after only a couple of years, have resumed their strikes against the government. Both the case of Podemos and that of Syriza, however, are phenomena attributable to a context of cyclical mass of struggles that have touched Spain (the Indignados) and Greece (post-crisis mobilizations). The operation that the Ex OPG attempts is, therefore, even more risky because it is not supported by broader struggles. 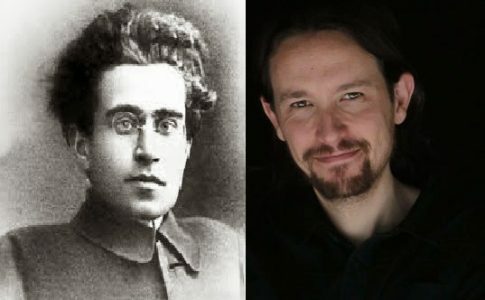 If these two experiences have failed precisely because they are not based on an anti-capitalist program and not welded to the labor movement, then why should we build a leftist slate on an anti-neoliberal program alongside those who, over the past 20 years, supported the worst center-left governments. Rifondazione Comunista — an Ally? During the assembly at the Teatro Italia, the comrades of the Ex OPG reiterated that there is no room for party secretaries, utilizing a “movementist” rhetoric according to which “all parties are bureaucratic.” This is a common sentiment among the working class vanguards — the result of a toxic narrative due to the failures that the leadership of the left in Italy have historically produced. But not all the “party” forms are bureaucratized — one cannot uphold the October Revolution of 1917 and omit the fact that a party led it. At the same time, not all expressions of “movements” are democratic. This does not mean, however, that we do not understand their concern over the treacherous groups of the past. This is exactly the point. The PRC is a party that has voted for the Treu package (a 1997 law that “flexibilized” the job market and was a precursor to the Jobs Act), the end of the TFR law (which provided severance to terminated employees), and has supported imperialist wars. A party that, in 20 years, has wrecked the gains of the unions through to its betrayals, and now tells us that it would like to “abolish the Jobs Act”. Only the naive can still believe the leaders of this party. The fact that several members of the Ex OPG have taken part in the PRC, including the party’s secretary, Maurizio Acerbo and its Member of the European Parliament, Eleonora Forenza, is a worrying sign. The PRC has focused all its efforts on building a proposal by mobilizing its sections from around the country. While declaring their enthusiasm for an uncompromising list, in Sicily they nominate the PRC together with MDP, that is, D’Alema and Bersani, those who voted for the Jobs Act with increasing “protections.” [D’Alema was Italian Prime Minister from 1998 to 2000 for the Partito Democratico della Sinistra, a precursor to the modern PD. Bersani was a top official of the PD and minister in several governments.] With these allies, the destination will surely not be the best. Moreover, there is a further contradiction, which in our opinion is very important: is it possible to build a “popular and anti-systemic project” by continuing to support the mayor of Naples, Luigi De Magistris, after his government disregarded the promises of the electoral campaign by mocking the workers of the Neapolitan subsidiaries? In the assembly of the Teatro Italia there was talk of “representing” us, that is, those who work, study, live in poverty. How do you combine this approach with the hundreds of layoffs of employees of the ANM (Neapolitan Mobility Company) by the administration of De Magistris? How can the Ex OPG claim to be left and against the system while supporting the administration that privatizes ANM in concert with the President of Campania Vicenzo De Luca (PD), the sworn enemy of the unemployed from Campania (region with Naples as capital)? It is evident that these contradictions will only explode and lead to new betrayals. There remain the fundamental questions on the table about the construction of a unified workers’ front and of their political representation: issues that will not be resolved immediately and for which there is no shortcut or secret recipe. This path will not evolve from a reformist program built in cooperation with the leadership of Italian social democracy, especially not without strong ties with workers and their struggles. This is why we believe it is not possible to support the Power to the People’s proposal. Our proposal is to build an anti-capitalist front with those who today share our same interests, and to debate with those who today see the proposal launched by the Ex -OPG as “the only alternative”. A proposal that looks to respond to that of SCR (Sinistra Classe Rivoluzione — Left Class Revolution) and PCL (Partito Comunista dei Lavoratori — Communist Workers’ Party), which honestly seems to be unsuccessful not only because of the lack of a path towards the construction of a working class and anti-capitalist assembly, but also for the unreachable objective of collecting the 175,000 signatures necessary to enter the elections. The sole discussion of an electoral presence of the left must start from the conscious will on the part of the vanguard of the working class to conduct its political struggle against the bourgeoisie, and not by focusing only on the state elections. We want to build, and we must confront not only the attacks of bosses and bureaucrats but also the illusions that from time to time are reproduced on the left. 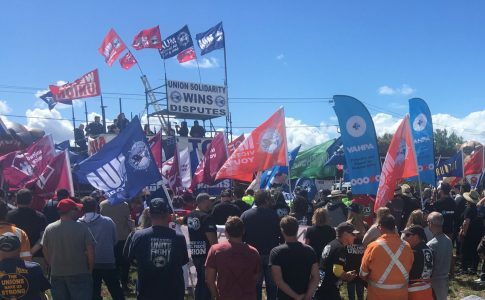 Beyond the proclamations, the “left” governments have empirically demonstrated that they eventually betray workers by leading the struggle and the political vanguard to a dead end.